Absolutely stunning own son of leading sire, Wimpys Little Step and he’s black! Rocco will steal your heart! 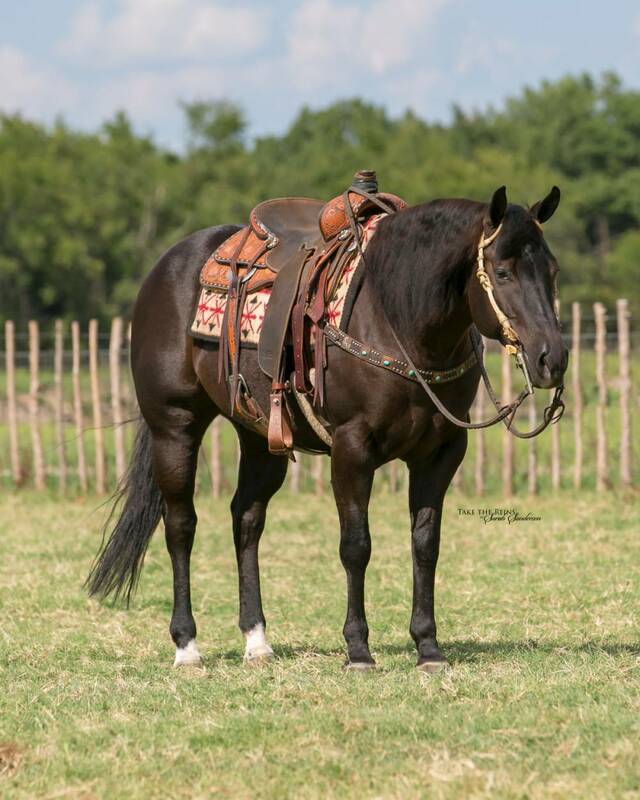 Handmade little gelding that will go do anything you ask of him. He’s earned $1,800 in NRHA reining and loads of buckles and prizes at local shows. Super easy, honest and has push botton maneuvers. Ready to go show in Cowhorse, ranch versatility and he ropes! Very cowy and fun to ride. Rocco has seen lots of county and trailrides great. 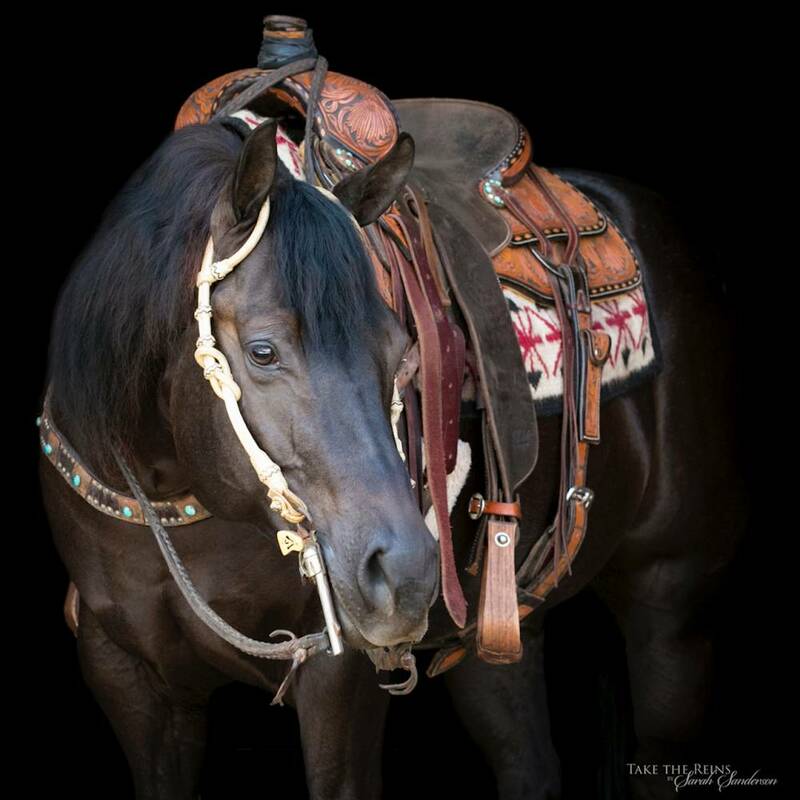 He’s extremely gentle and will ride for anyone that can hold his reins. Husband safe too. He stands 14.2 hh making him easy for nearly anyone. 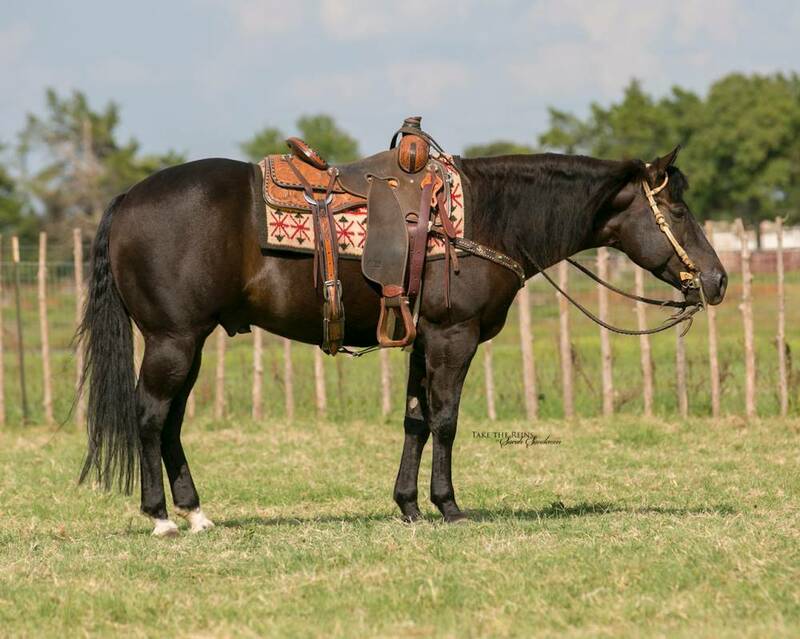 Fancy gelding that is the entire package.